Our task was to produce an item for a client to their brief. 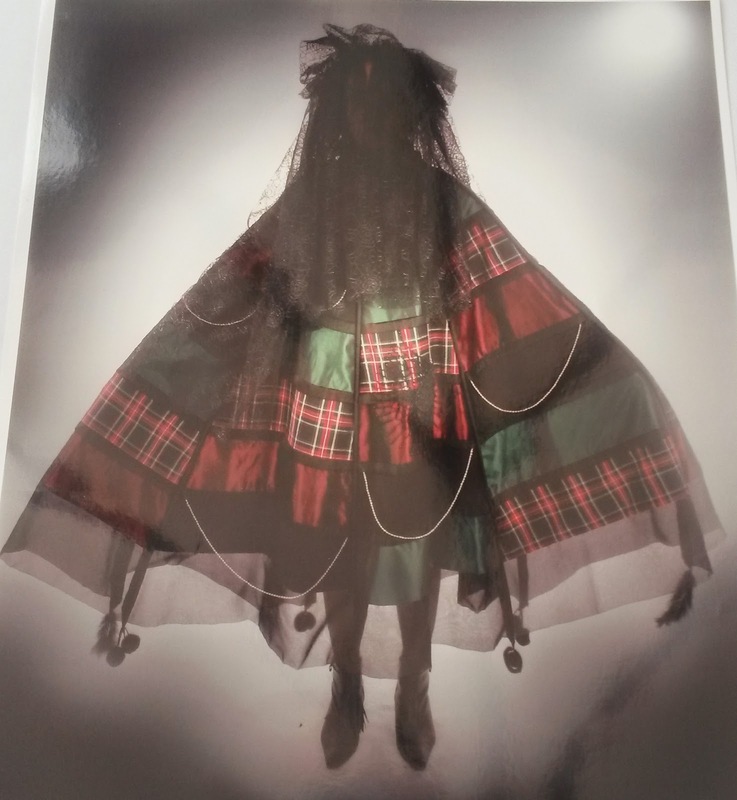 My client was the head of wardrobe from our local Amateur Dramatics Society who wanted me to produce a costume for a witch in 'The Scottish Pay'. 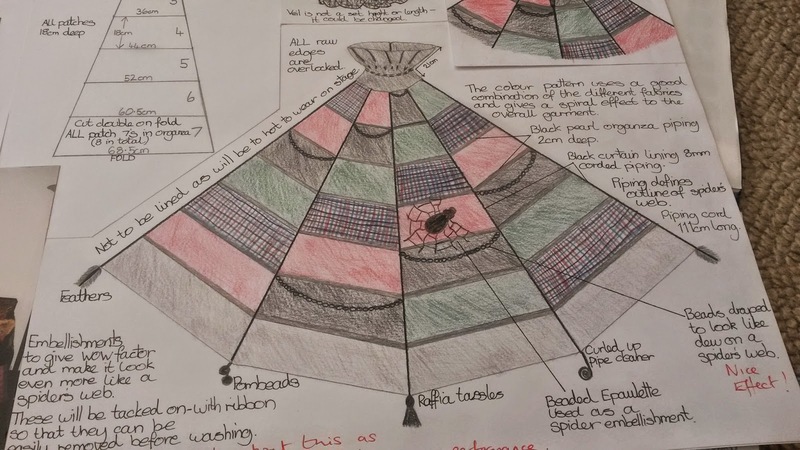 Inspiration for the design came from many sources revolving around a spider's web. 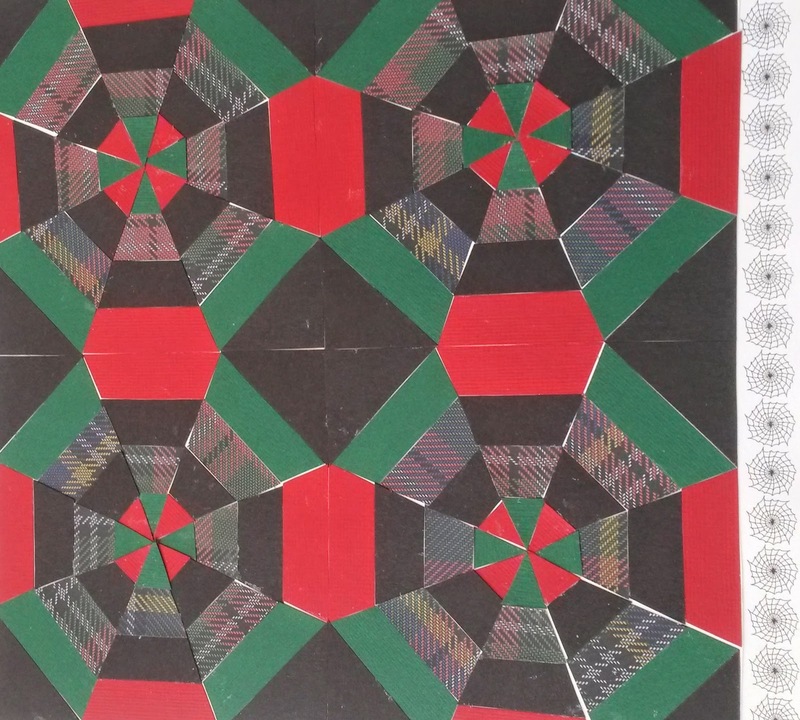 I discovered spider web patchwork in a lovely book called The Quilters Block Bible by Celia Eddy. Spider Web patchwork block made from paper. The idea of the poncho came from the shape of the spider's web design and evolved from there. Final Design page in my project folder. I really enjoyed making this project and am extremely proud of the quality of finish. Taking inspiration from this make I am now working on making a skirt based on the spider web patchwork design. 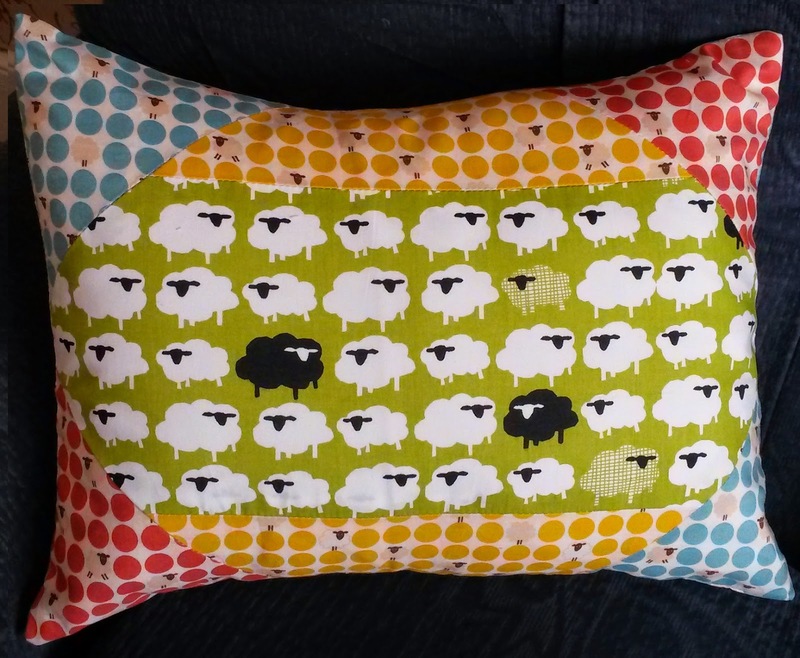 Something with sheep on it! 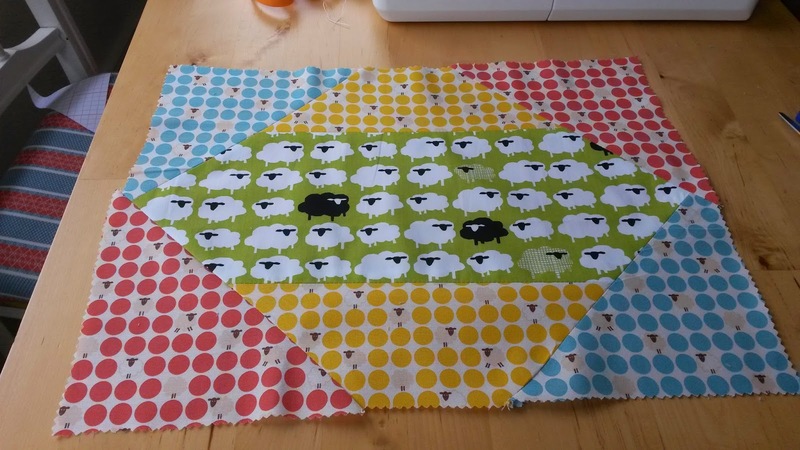 I had some sheep fabric in my stash already so that was my starting point and I popped along to The Village Haberdashery for some more ideas. 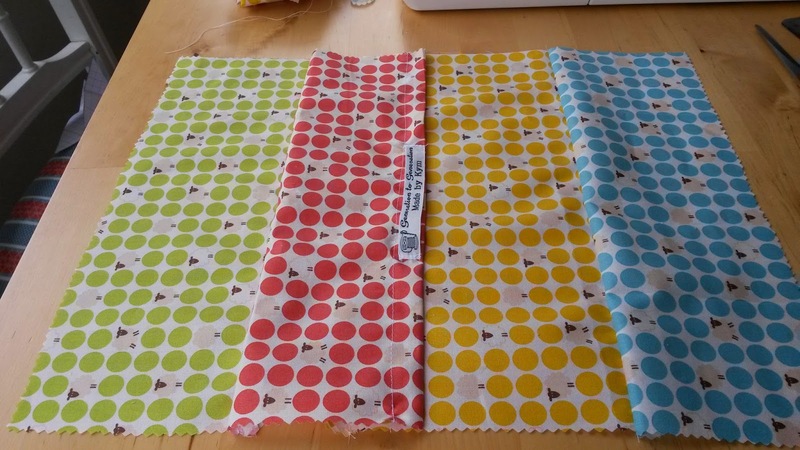 After falling in love with their spotty sheep fabric selection I decided 'Patchwork' and purchased fat-quarters in four amazing colours. The brief was to make a hat from a selection of patterns based on a chosen theme. 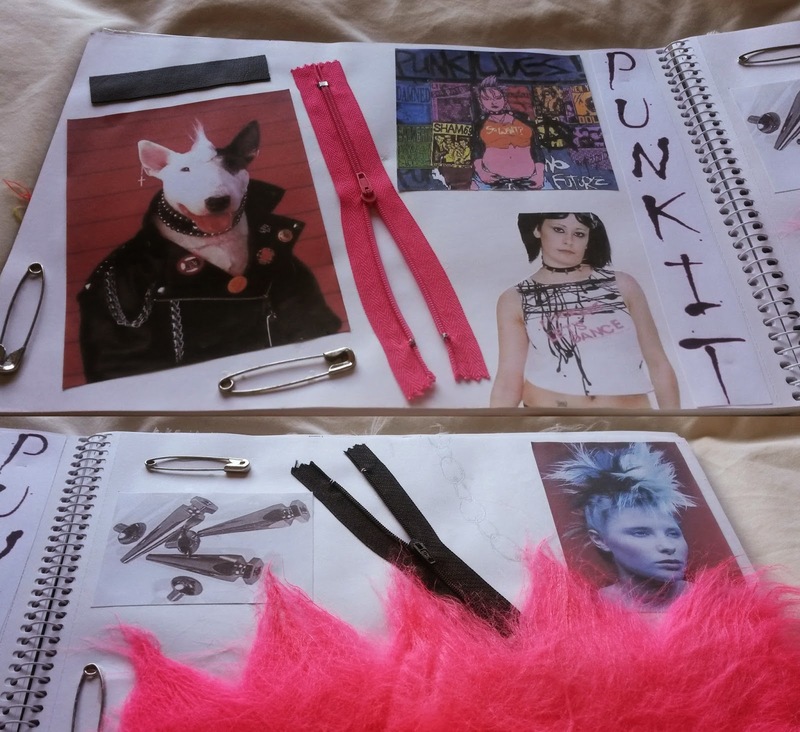 It took me ages to decide on a theme but I finally settled on 'Punk' - it was actually Dad's idea :-). It was great fun finding the material and bits and bobs on Carlisle Market and in Fun 2 Do... especially the florescent pink faux fur for the hair. I remember struggling to find a material the correct colour and heavy duty enough to hold the weight of the safety pins, zips and chain. I went for the white cotton canvas and dyed it black using washing machine dye.... very nerve-racking using Mam's washer for this! I was really happy with the slightly uneven colour effect it produced. When I saw the little Bathing Bunny cross stitch kit by Mouseloft in Hobbycraft I couldn't resist purchasing it... super cute. I didn't have anything in particular in mind for it but thought it would be great to go on a present for my Mam for her birthday. 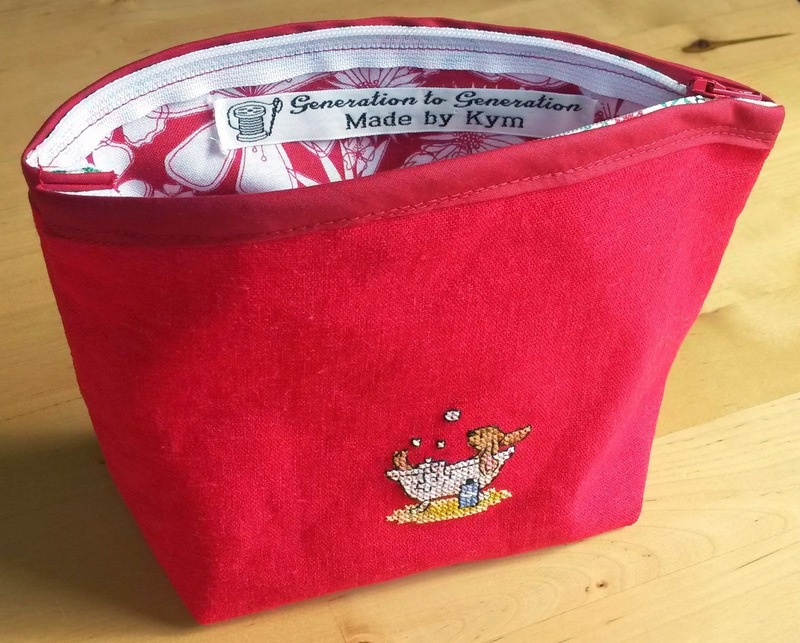 At first I was thinking about using it as a little embellishment on a face cloth or towel (I wanted to try out my new dissolvable canvas) but then I found this wash bag pattern by Laura Ashley during a random online pattern search and thought, yes perfect! I found the dissolvable canvas extremely easy to use and it dissolved a lot quicker than I had anticipated. 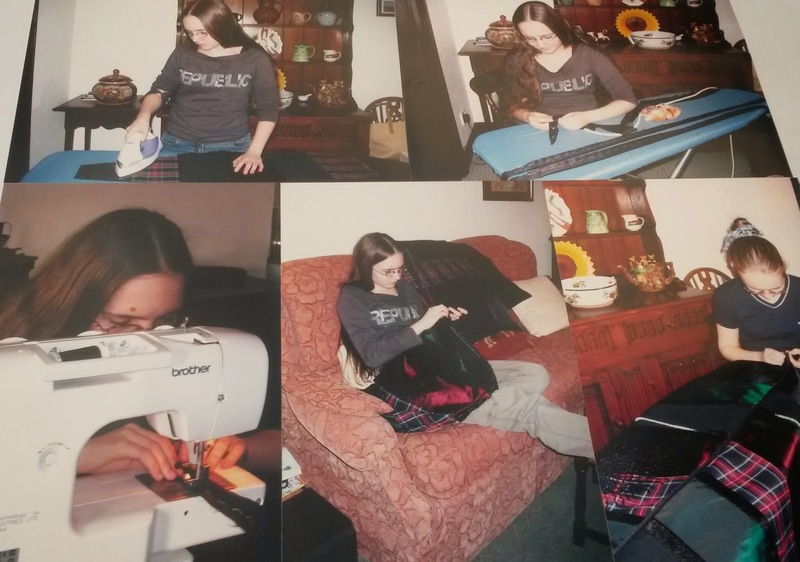 The assembly of the bag was very simple thanks to the clear tutorial and I especially love the patterned zip I bought from The Village Haberdashery. 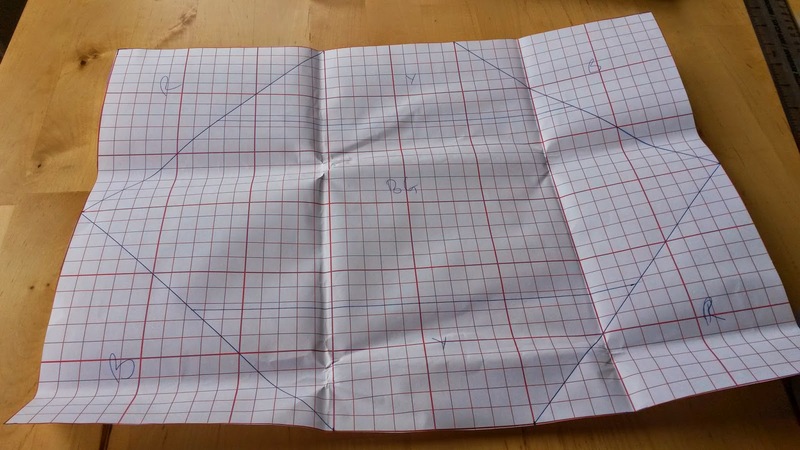 I will definitely be making variations on this in the future... watch this space!